Making commercial properties comfortable places to be is essential. As a property owner, it is your responsibility to meet comfort needs of your tenants, workforce, clients and other visitors. That is where the commercial HVAC experts at Russell & Abbott come in. For nearly four decades, we have helped commercial and residential property owners live and work in greater comfort and we can do the same for you. From commercial heater installations to routine commercial air conditioning maintenance and commercial indoor air quality services, we do it all. Contact a representative on our staff to schedule service today. Russell & Abbott provides professional and comprehensive commercial HVAC servicesserving Maryville, Knoxville, Alcoa, Blount County, Knox County and Loudon County. Give us a call today to schedule service. When it comes to successful commercial heating and cooling, the quality of your commercial HVAC equipment is important. When we complete your commercial HVAC installation, rest assured that you will have the correct equipment for your needs and that it is of the right size and capacity for your property. Precise measurements and other factors affect the complex mathematic calculations to determine the exact system needed to make your property comfortable. There is no guesswork. We will keep that equipment working at peak performance and efficiency levels by providing you with top–quality commercial HVAC maintenance services, and we can handle any repairs that you may need should anything go wrong with your system. Russell & Abbott is a Trane Comfort Specialist. Not every company can achieve this status. For you, this means you will receive trusted, reliable, experienced heating and cooling services from industry–recognized professionals. 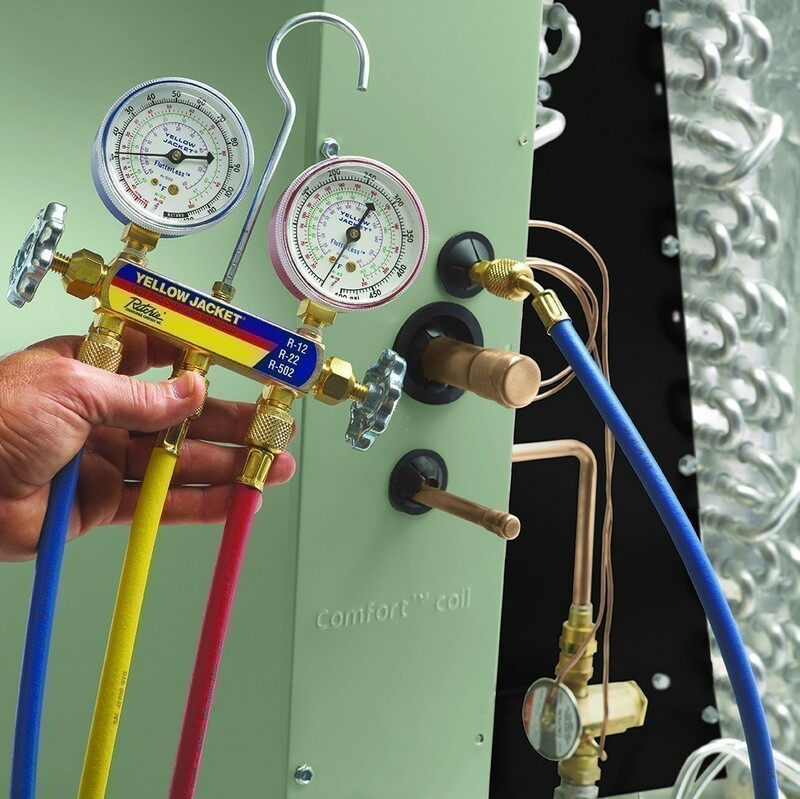 The quality of your commercial heating and cooling services is just as important. To guarantee that you get the very best performance that your commercial heating, indoor air quality, and air conditioning systems have to offer, you schedule service with the experienced professionals at Russell & Abbott. It can be difficult to keep a commercial property comfortable in East Tennessee, with the oppressive summer heat and humidity, and the quickly changing weather. The good news is that we’re up to the task. Our experienced, professional team can help you get the most from your commercial air conditioning. Our commercial cooling team will help you "keep your cool." When the outdoor temperature drops to an uncomfortable low, it is essential for your business that everyone inside your commercial space is kept warm and comfortable. You can rely on the experienced team at Russell & Abbott for timely response and dependable service. Contact a member of our team to inquire about available commercial heating systems, and we’ll make sure that you have what you need to heat your commercial property in a quality manner. There’s more to the comfort of an indoor environment than temperature. Maintaining high indoor air quality (IAQ) in a commercial setting is just as important. If you are at all concerned about the quality of the air in your commercial space, just let us know. Our IAQ specialists are here to help you find solutions. When you schedule commercial HVAC services with Russell & Abbott, you can always count on a job well done.